“Aiden Abet” the leader of the Tracy Gang developed a scam that netted him $1m. However, once his victims caught on he became a hunted man. The $1m was hidden in the Tracy Speakeasy and when it strangely reappears it leads to murder! 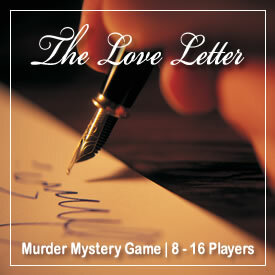 Unravel the mystery of the dead man walking, the letters from William Shakespeare and the literary weekend. Tracy Gang is a fabulous 1920s gangster murder mystery party theme. People love to dress as gangsters, flapper girls, godfathers and hitmen. Setting: The Tracy Speakeasy a 1920s gangster lounge owned by the Tracy Gang. Story: “Aiden Abet” the leader of the Tracy Gang developed a scam that netted him $1m. However, once his victims caught on he became a hunted man. The $1m was hidden in the Tracy Speakeasy and when it strangely reappears it leads to murder! Unravel the mystery of the dead man walking, the letters from William Shakespeare and the literary weekend. Group Size: 2 to 15, 2 to 60, or 60 to 120. Costumes: Guests come dressed as a gangster, cabaret dancer, godfather, flapper girl, pimp, cop, F.B.I. agent, scarface, hit man, dancer or any other 1920s style character. How Do Costumes and Characters Work? 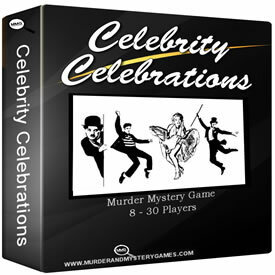 To make the game as easy as possible to organise your guests do not need to dress as any particular character. 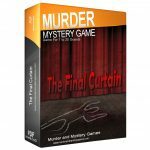 The costume they wear does not affect the character they play in the murder mystery. 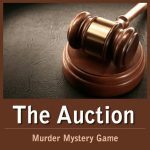 You allocate the murder mystery characters on the night of the party. This means that if guests are sick and can’t make it or extra friends want to come then there is no impact on running the game. Download – You receive the high quality materials electronically. You download the game and print the materials yourself. Nothing is posted to you. 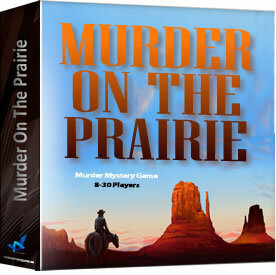 Boxed – Your game is printed and packaged by us and posted to you anywhere in the world. 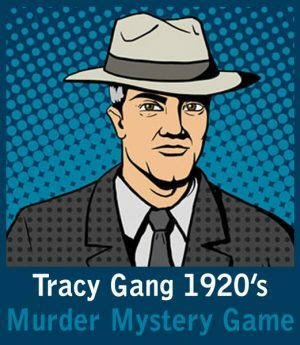 Be the first to review “Tracy Gang 1920’s” Click here to cancel reply. How Many Will be Playing? 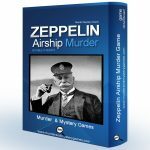 Zeppelin Airship Murder is a fabulous murder mystery game for 10 players. 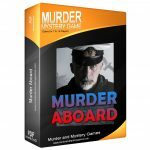 Murder Mystery Party Games © 2019. All Rights Reserved.